Our visit to Monsanto, was supposed to be brief but, without even realising it, time passed by and the evening turned into night. 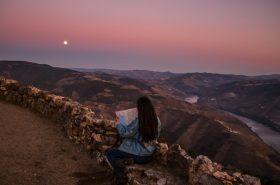 We climbed up to the castle, sat down to gaze at the view, descended back into the village, got lost in its narrow and colourful streets of unusual houses, and ended at the perfect spot to watch the sunset. 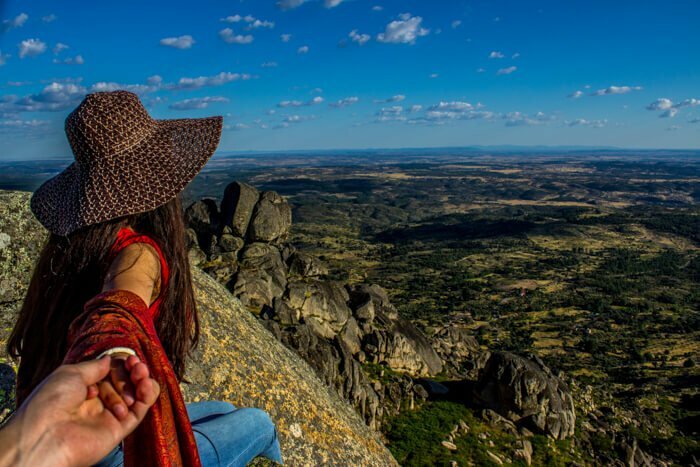 Because of the irresistible charm of Monsanto, we arrived at our house in the Alentejo region at 3 am, but it was totally worth it. 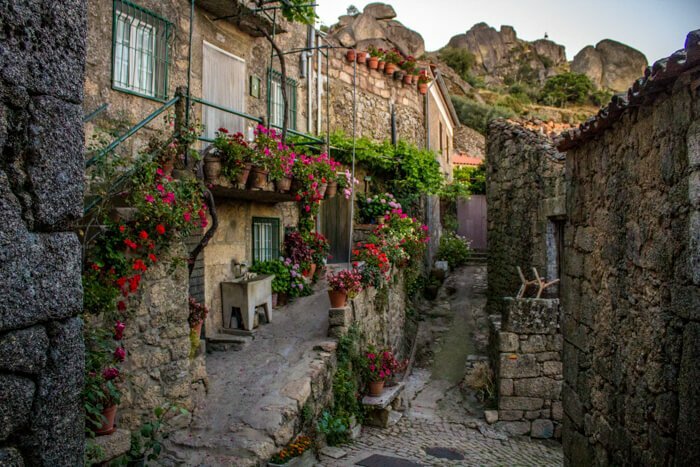 Monsanto is one of the 12 Historical Villages of Portugal and it is known as The Most Portuguese Village in Portugal. 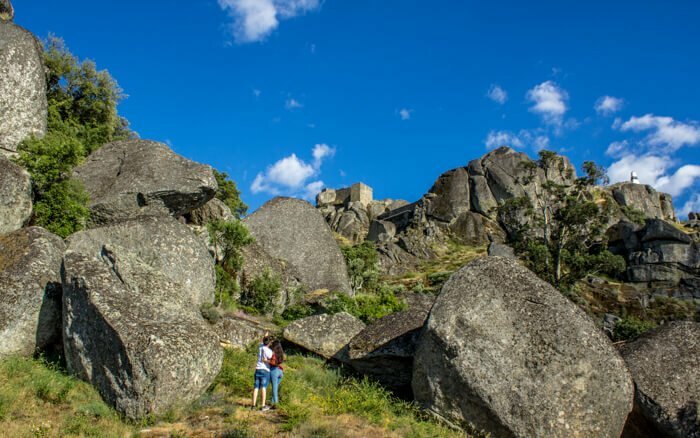 In addition to the initiative of the Historical Villages of Portugal, there are also the project Villages of Portugal and the Schist Villages. 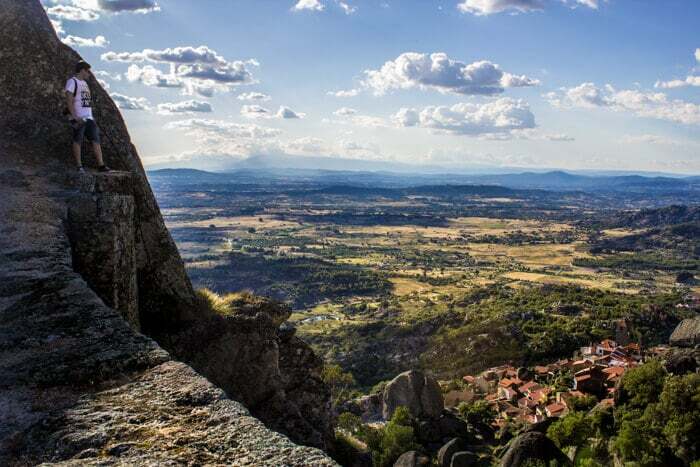 Gladly, it´s not from today that Portuguese Villages are in the spotlight. 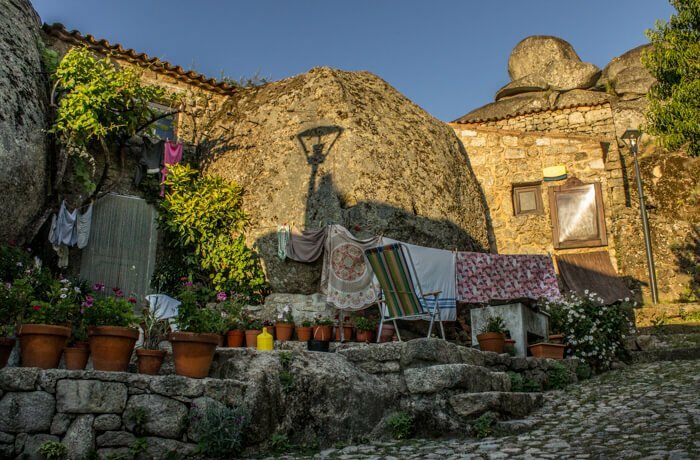 These villages have an important role in preserving the memory of a more authentic Portugal. 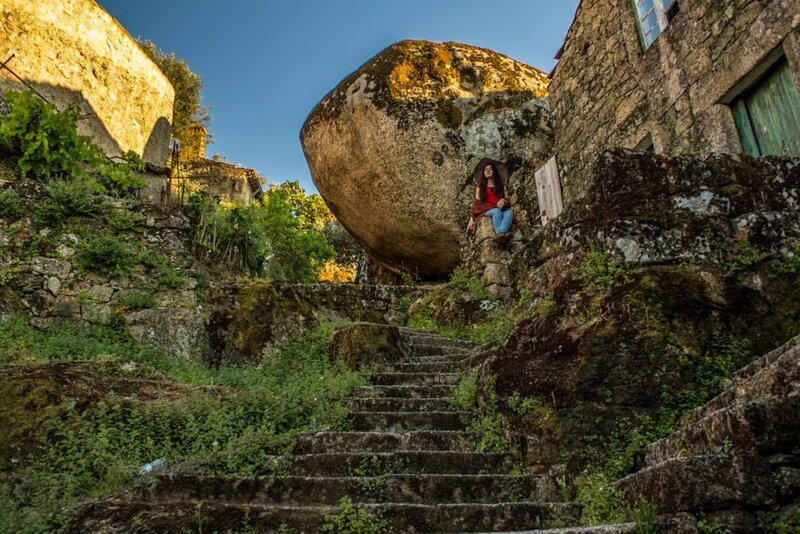 These villages are immaterial relics of a remote and secular Portugal. They are a symbol of the simple life, of its people, its customs and traditions. 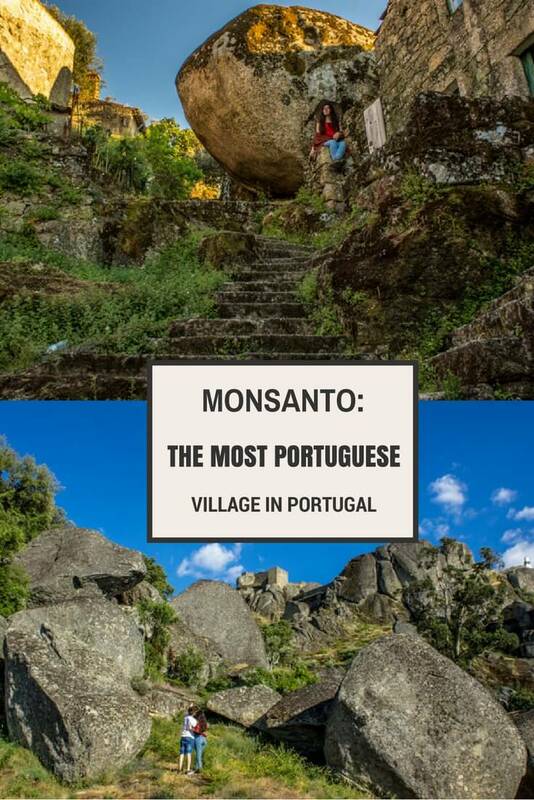 Why is Monsanto the Most Portuguese Village in Portugal? 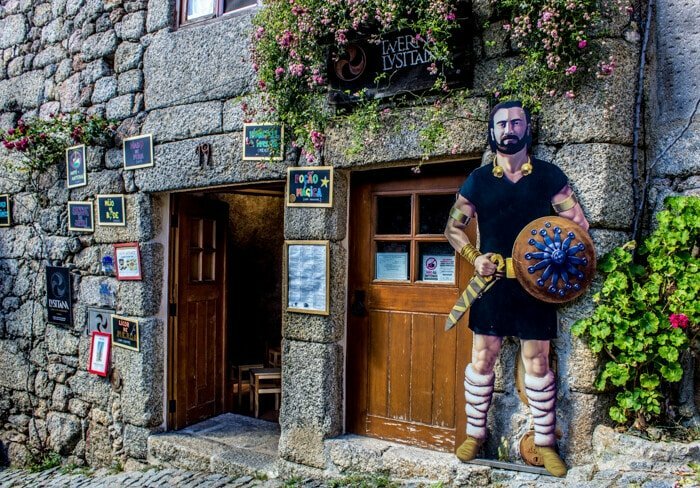 After all, Monsanto is charming but among so many other charming villages why Monsanto is the most Portuguese village in Portugal? Well, the answer is simple. This title is due to a contest that was held at the time of the Portuguese Dictatorship, in 1938. Monsanto won this competition! 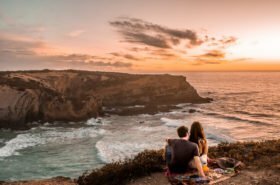 And it deserves, to this day, a mention in all the touristic books and leaflets about Portugal as the Most Portuguese Village in Portugal. 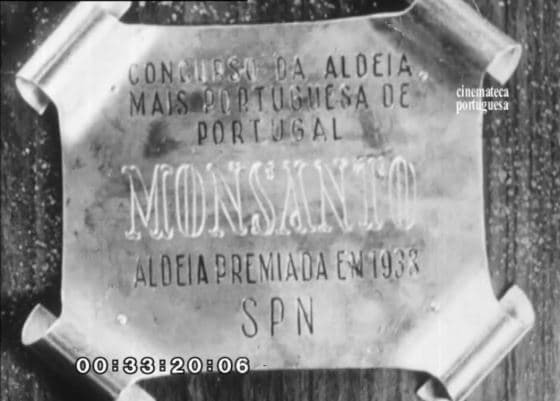 For the most curious you can find in the digital archives of the Portuguese Cinematheque, a 1938 documentary by the director António de Meneses about The Most Portuguese Village of Portugal, where you can watch a presentation of the 12 villages named in this contest. “The words to speak well of certain things do not often meet the necessary and fair words. 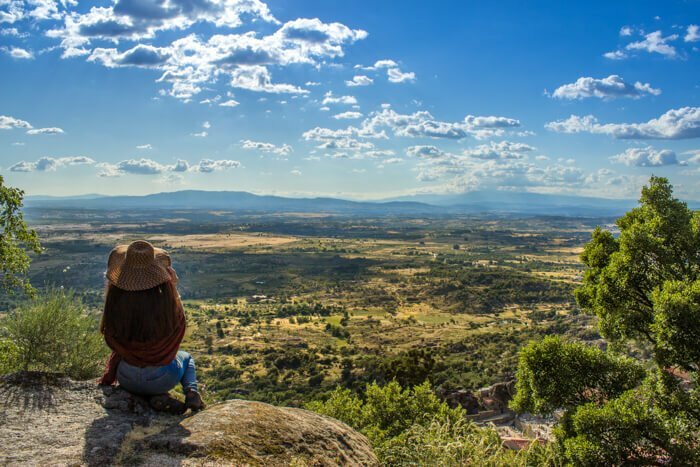 Therefore, it is better to be silent and let these things speak for themselves.” These were the words of the narrator of the contest of the Most Portuguese Village of Portugal to present Monsanto, we could not agree more with them. That being said, let the photographic records of our visit to Monsanto speak for themselves. 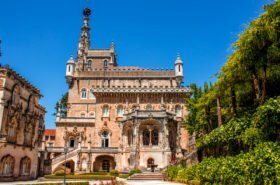 The theme of the 7 Wonders of Portugal 2017 are the Villages. Monsanto is nominated in the category of Monument Villages. By the way, for those who are always looking for new charming places to visit, I’ll list all the villages named in this contest. 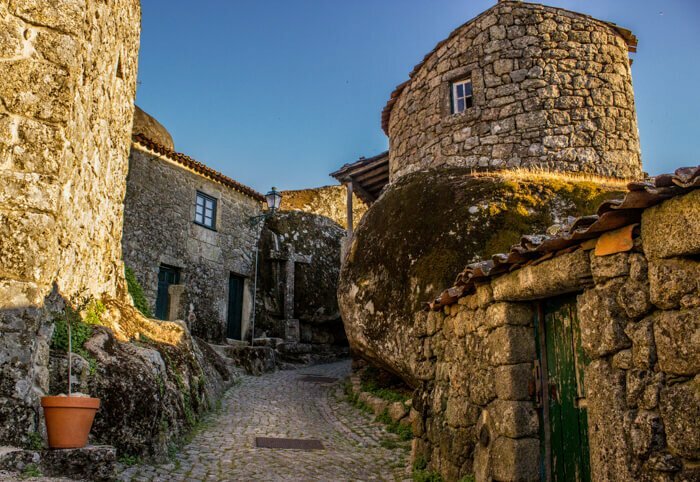 The Villages nominated are subdivided into 7 distinct categories: Monument Villages (Almeida, Estoi, Evoramonte, Idanha-A-Velha, Monsanto, Monsaraz e Sortelha), Sea Villages (Azenhas do Mar, Costa Nova, Fajã dos Cubres, Ferragudo, Porto Covo, Porto Moniz, Zambujeira do Mar), Riverside Villages (Aldeia da Luz, Dornes, Escaroupim, Furnas, Santa Clara-a-Velha, Sete Cidades, Vilarinho de Negrões), Rural Villages (Alegrete, Cachopo, Casal de São Simão, Faial, Manhouce, Paderne, Sistelo), Remote Villages (Aldeia da Pena, Branda da Aveleira, Castro Laboreiro, Curral das Freiras, Fajã de São João, Gondramaz, Piódão), Authentic Villages (Aldeia do Xisto de Cerdeira, Alte, Biscoitos, Castelo Rodrigo, Fontão de Loriga, Montesinho, Podence) and Villages in Protected Areas (Aldeias das Salinas da Fonte da Bica, Bordeira, Chão da Ribeira, Lindoso, Penedo, Rio de Onor, São Lourenço). 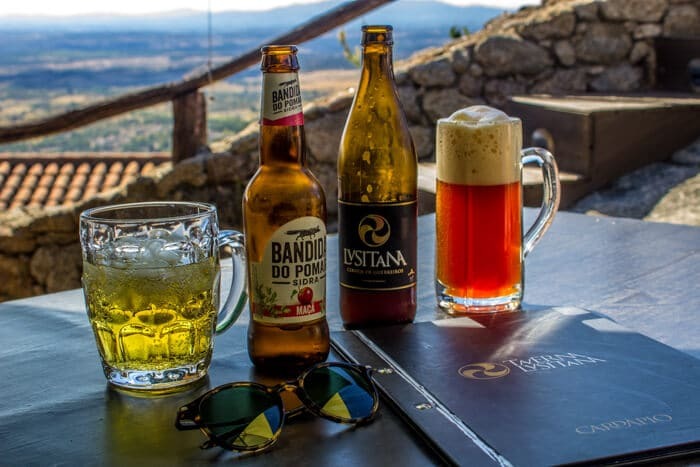 As soon as we arrived at Monsanto, we could not resist stopping at the Taverna Lusitana. Valter gave in to curiosity and decided to try the craft beer made with hazelnut. 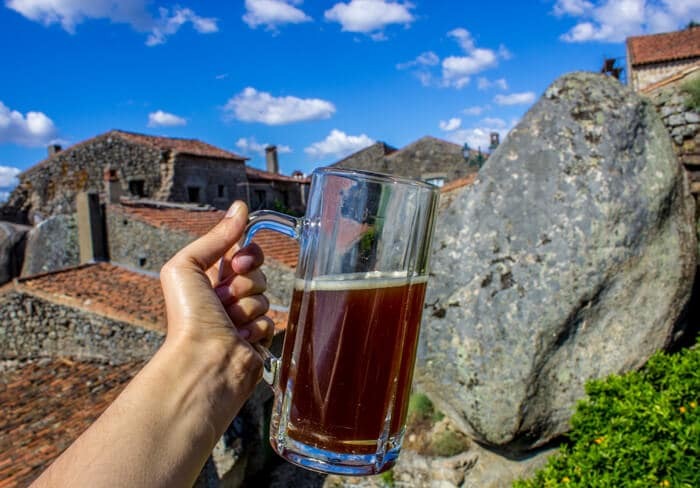 It’s called Lusitana, and they say it’s the beer of the warriors. And don´t miss the chance to taste the cherry pastries. 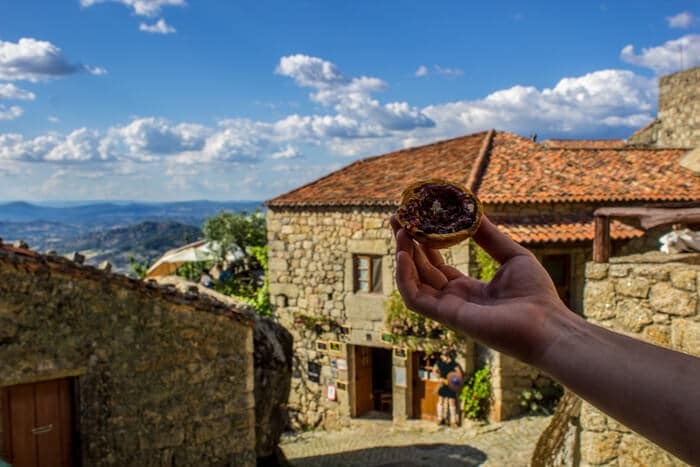 It´s similar to the famous Pastéis de Nata (Cream Pastries), but made with cherries. They are delicious! The panoramic view from the terrace it´s also amazing. We have not tasted the shots, but according to one of our readers, they are fantastic! Price: I always take a picture of the bill to share it with you, but on this day I forgot. However, if my memory does not fool me. A Lusitanian craft beer, a cider, a bread snack, olives, cheeses and chorizo, 2 cherries pastries cost something like € 19. 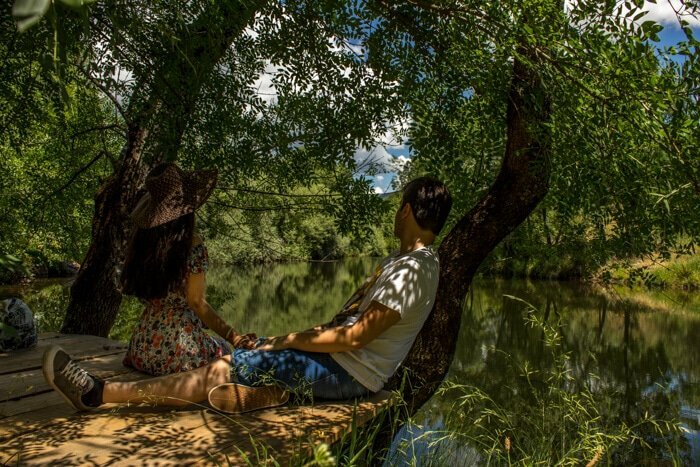 Moinho do Maneio accommodation is only about 20km from Monsanto and is the perfect option for those who privilege contact with nature and a different experience. 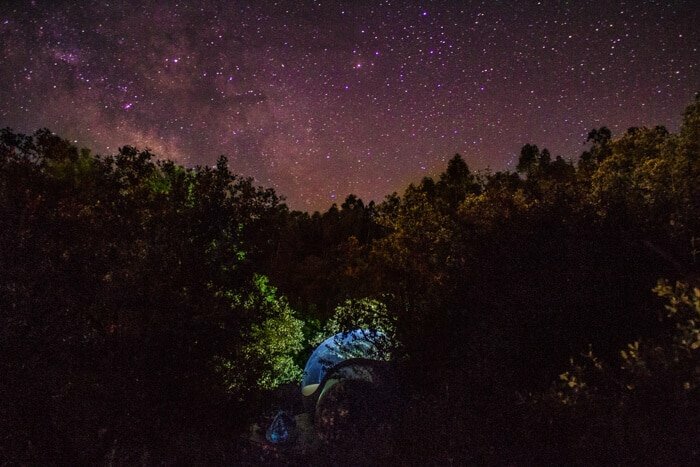 Did you know that here you can even sleep inside a bubble and fall asleep under the stars? This was the first Historic Village we visited. 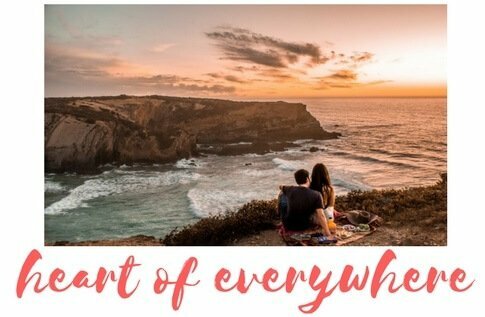 We can´t wait to have some free days and visit all the ones that are missing! Have you visited any of these cute Historic Villages?